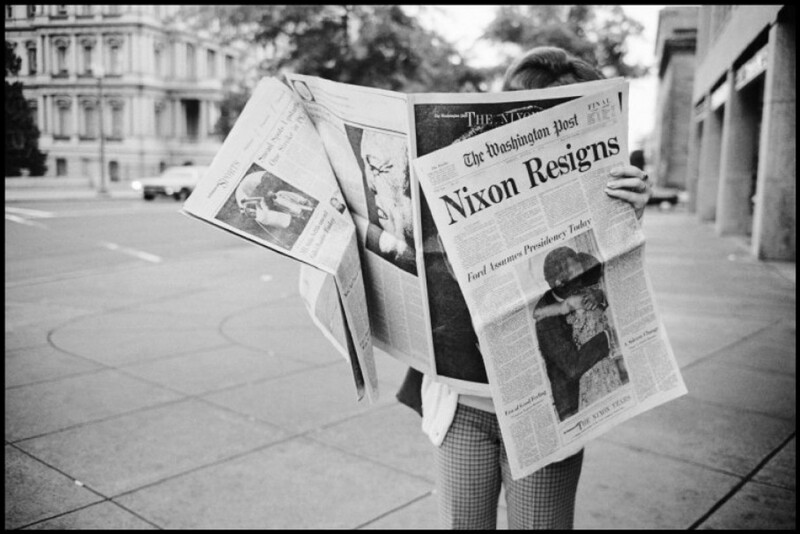 The most under-appreciated reporters in the political world are the scribes covering state and local politics. They rarely get the attention of their colleagues at the national level but are often covering the very politicians and national trends that come to impact the broad political landscape. Every two years (or so), I like to honor these reporters with a look at the best of the best from each of the 50 states plus the District of Columbia. The list below was built almost entirely on recommendations from the Fix community — here on the blog, on Twitter at #fixreporters and on Facebook. A few of my personal favorites are included as well. Conspicuous by its absence? That’s right – the Herald. Granted, this was a beauty pageant judged by political junkies who gravitate toward the Washington Post, but it’s unlikely ideology was the driving force here. It just might be that people fail to take the flighty local tabloid seriously anymore. As for us, we don’t know Jim Hand’s work, but there’s no one here we’d pull to plug a Heraldnik into the mix. They just don’t really belong. Then again, that’s pretty much how they like it. 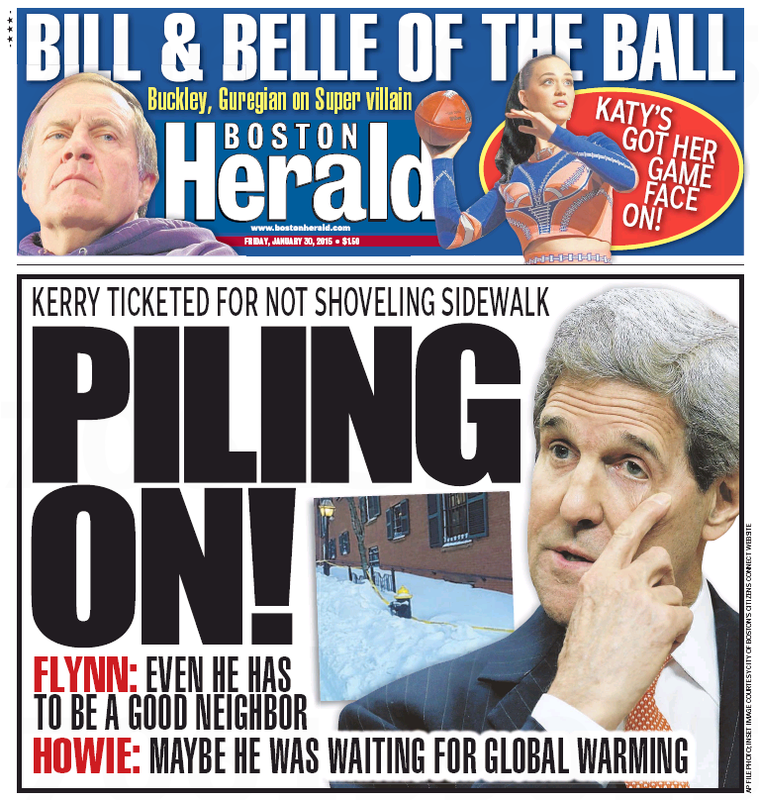 The hardreading staff did not, understandably, receive its daily papers Tuesday morning and we’ve been otherwise occupied until now, but we figured we should at least give a nod to the local dailies’ front pages on Day One of Boston’s latest snowmageddon. Further details might – or might not – emerge. Well the GOP had its first 2016 Iowa Presidential Cotillion over the weekend and say, it was . . . swill. 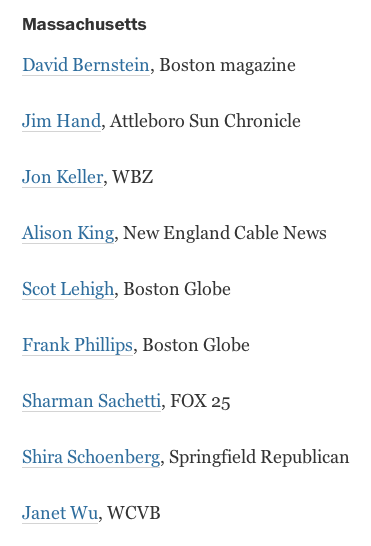 All the GOP kids were there (but not the adults: Jeb Bush and Mitt Romney), including Sarah Palin (R-Drunken Brawl), who got this coverage in James Pindell’s Boston Sunday Globe piece. 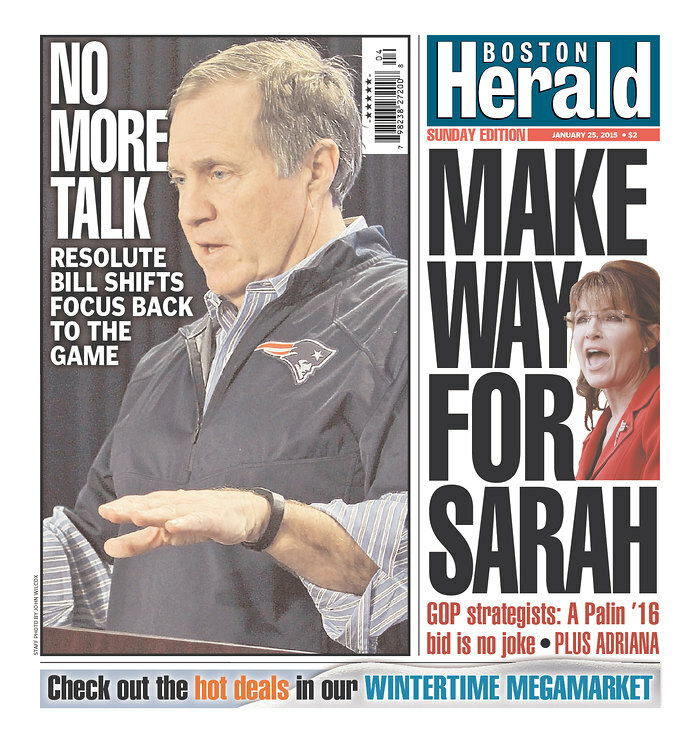 Versus this play in the Sunday Boston Herald, starting with Page One. Just for scale, this New York Times piece by Ashley Parker and Trip Gabriel buried Palin in the 29th – and final – graf. Not to get technical about it, but Donald Trump got higher play than Palin in the Times. Draw your own conclusions. Back in Boston, leave it, as often, to Herald columnist Kimberly Atkins to restore some sobriety to the tipsy local tabloid. Under the headline “Entry Trumps all silliness,” Atkins writes today that a Palin presidential campaign is only slightly less absurd than a Trump run. 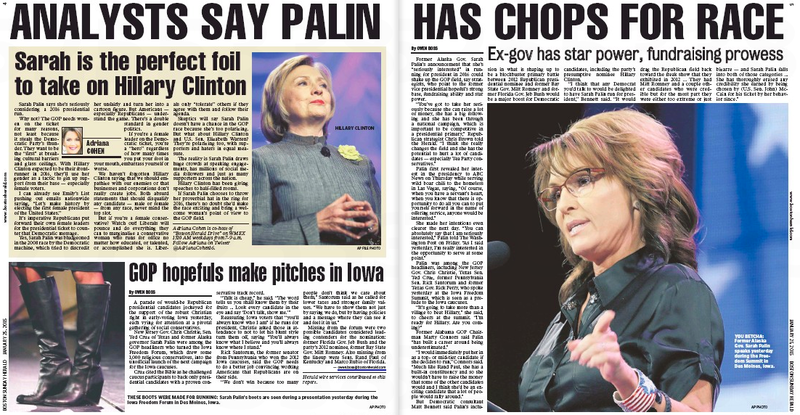 [A]s absurd as a Palin candidacy sounds, at least her name has appeared on a national ballot. Not only has Trump never run a successful political campaign, his multiple corporate bankruptcy filings belie his claims of robust business acumen, which I assume would be his main presidential selling point. 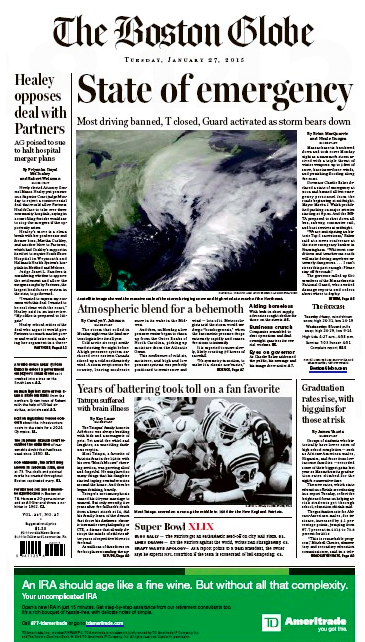 Crosstown, the Globe’s Pindell has this follow-up story on the web (we couldn’t find it in our print editions). Apparently, the Palindrone won’t be stopping anytime soon. 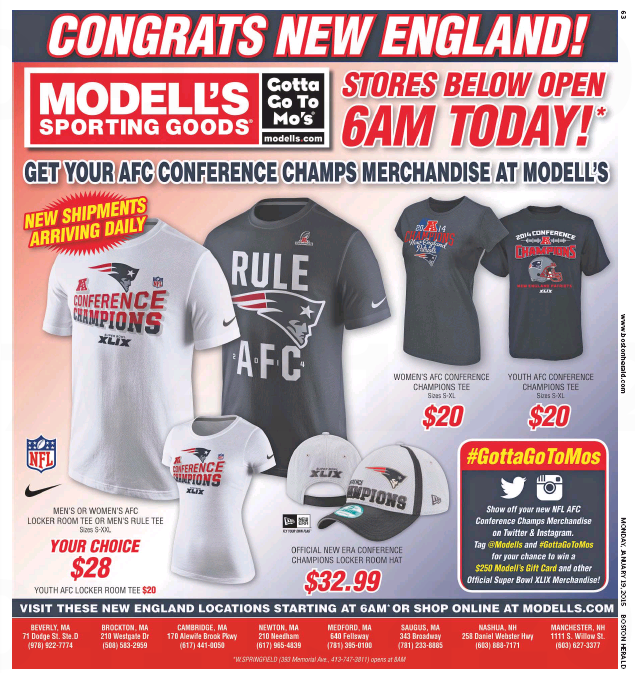 As you might expect in the wake of yesterday’s New England Patriots blowtorching of the Indianapolis Colts, today’s Boston dailies both have full-page ads touting a wide variety of Patsaphernalia. 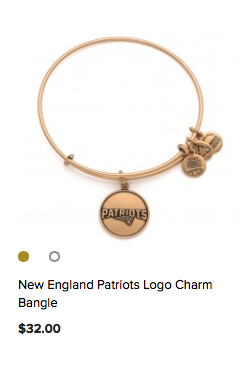 ALEX AND ANI is pioneering its own definition of corporate consciousness with sustainable initiatives and the creation of high quality, thoughtfully manufactured pieces. We are committed to building a culture that focuses entirely on mindful actions. 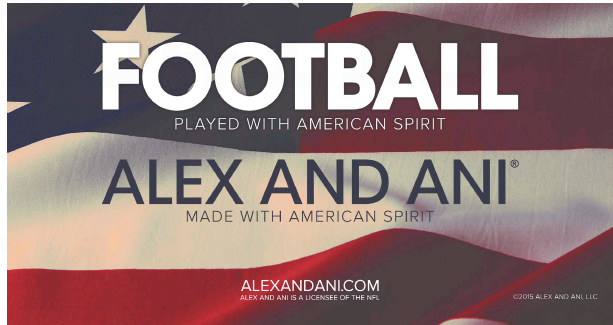 Our products are hand crafted in America. Our stores are purposefully located on main streets to encourage growth in local economies. What’s the NFL connection? 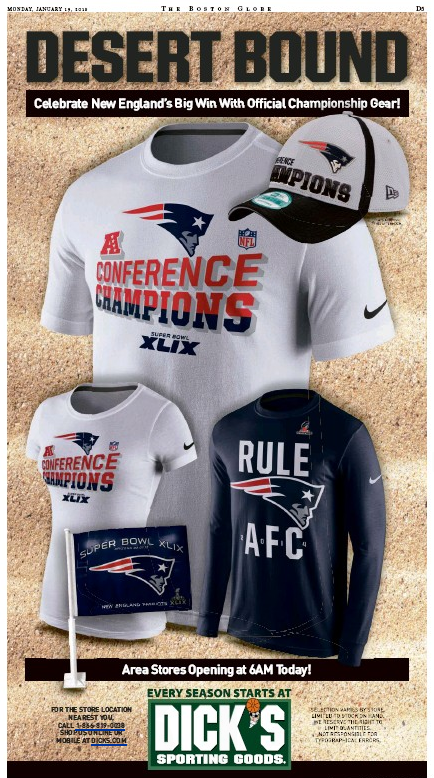 This NFL Collection. 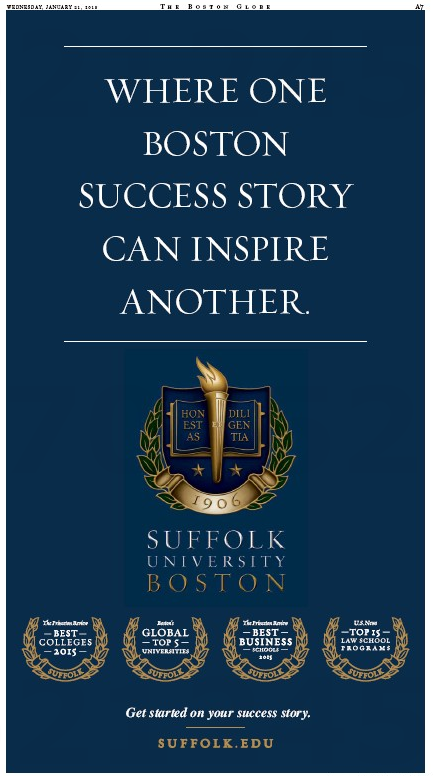 As the hardreading staff has mentioned, the Globe consistently kicks the Herald’s ads, so it’s nice to see the thirsty local tabloid get some love. Even if it comes from unexpected places. How Many People Turned Out for Warrenpalooza? As the hardworking staff duly noted, the Run Warren Run crowd ran ads in New Hampshire papers the other day promoting a rally to urge U.S. Sen. Elizabeth Warren (D-Sort of No) to enter the 2016 presidential bakeoff. And how many Lizziacs showed up? 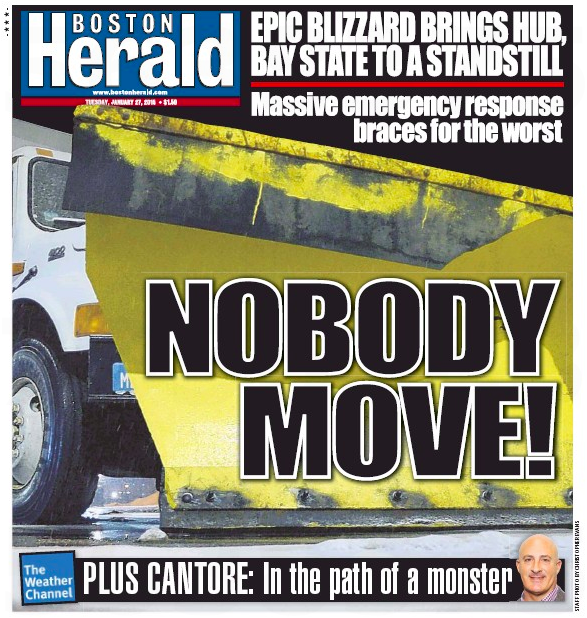 Hard to tell from the Boston dailies. 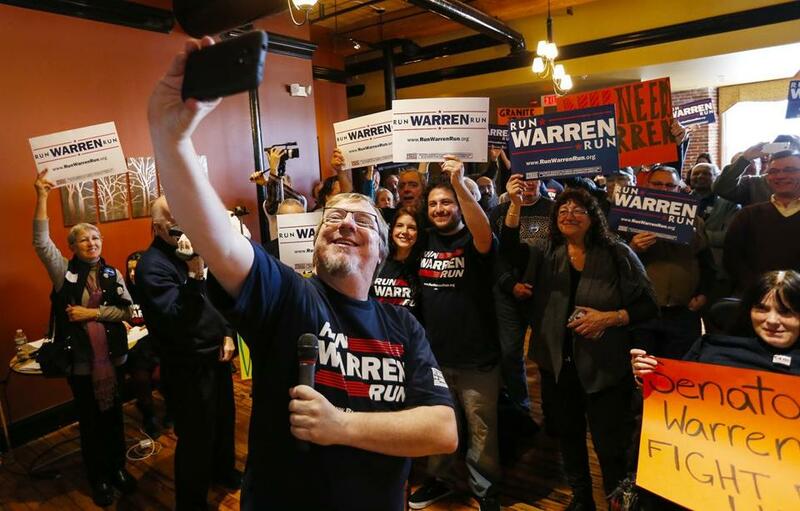 MANCHESTER, N.H. – They gripped signs and took T-shirts with the words “Run Warren Run,” but the 50 Democratic activists who attended the New Hampshire kick-off of an organization hoping to persuade Massachusetts Senator Elizabeth Warren to run for president came for different reasons. Some had already publicly committed to Hillary Clinton, should she run again for president, but want Clinton to adopt a more populist message. Others said they like it when Warren speaks out on issues like income inequality but want to learn more about her personally before backing her as a presidential candidate. A handful were interested in a potential presidential bid from Senator Bernie Sanders of Vermont but wonder whether he is the best person to push a progressive message. But crosstown at the Boston Herald, the crowd was much larger. Hope was a recurring theme at the launch rally yesterday, hosted by Democracy for America and MoveOn.org, which have promised to invest $1.25 million in Iowa and New Hampshire to convince Warren to run for president. About 250,000 people have signed a petition asking Warren to run, even though she has repeatedly said she isn’t jumping into the race. About 125 people attended, organizers said, many donning free red, white and blue T-shirts decorated with the “Run Warren Run” logo. Sixteen locals signed up to host house parties to spread the word and convince more people to join the cause. A crowd roughly the size of a) The Kardashians, or b) Mitt Romney’s grandchildren showed up for Lizorama. Sounds more like Shun Warren Shun to us. You are currently browsing the It's Good to Live in a Two-Daily Town blog archives for January, 2015.